The hotel has: apartment, rooms, cafe, swimming pool, jacuzzi and sauna . 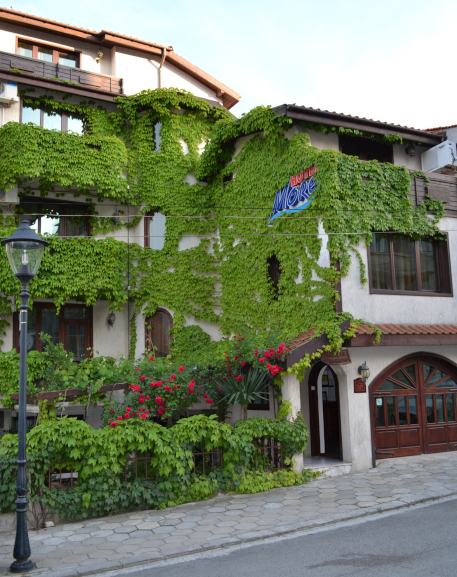 More* family hotel is situated in the Sozopol, 300 m from the seaside , 400 m from the Old Town and 200 m from the downtown . Built with skilfully picked natural materials - stone, marble and wood, which impart authenticity, charm and uniqity. Furnished in modern style, the hotel provides comfort and cosiness. If you add to all this our warm hospitality and 25 years of experience you will enjoy your unforgettable moments in the ancient town of Sozopol. in order for all functionality on this site to work properly.